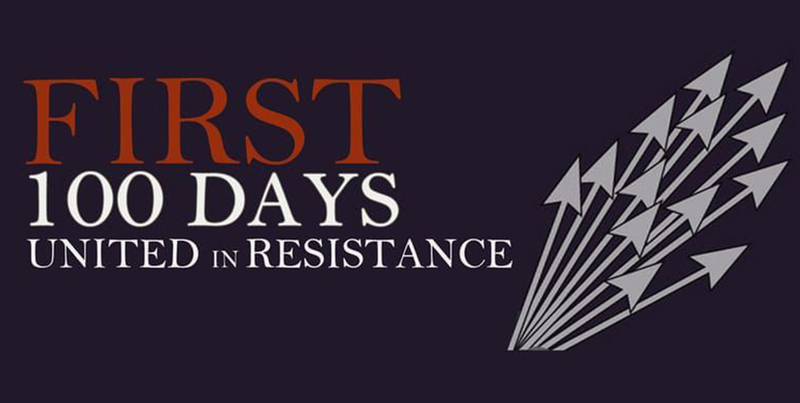 First 100 Days is a resource to support creative resistance to the Trump regime. This effort organized by a group of Portland, Oregon artists and activists offers a platform for artists and non-artists alike to share skills and ideas for participating in street protests and creative interventions. The goal is to strengthen our community by channeling our outrage into dynamic projects based on a deeper analysis of anti-colonial, anti-capitalist, anti-racist, and feminist histories. The event website with more information is here. The program begins January 14-15, 2017 with a weekend of workshops and art making at the Portland Institute of Contemporary Art in preparation for upcoming inauguration demonstrations. On January 28, 2017 there will be a follow-up event at the Pacific Northwest College of Art focused on building longer term resistance strategies within the arts communities.